When you’re looking for a senior community for your loved one, we know your top priority is the quality of healthcare they’ll receive. At Amber Creek, our qualified nurses, both RNs and LPNs, are available 24 hours a day and are professionally trained to provide residents the loving medical care they need. We recognize the complex and frail health conditions that many residents are experiencing, and our number one priority is giving your loved one the highest level of care and treating them with the utmost professionalism. 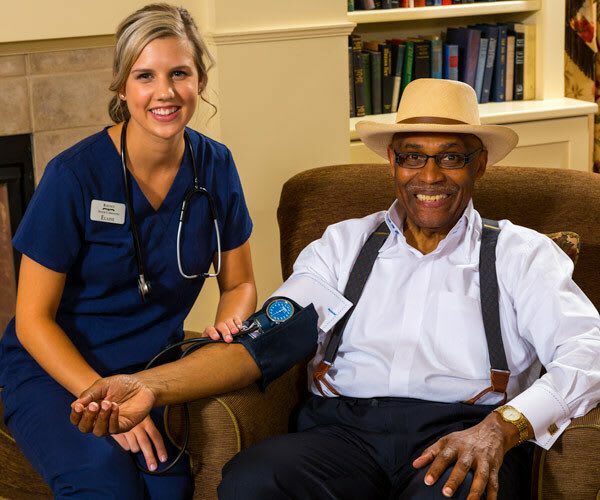 At Amber Creek, the highest level of care means making a personal connection with those you care for, so our nurses bring warmth, kindness and friendship to every interaction; because at Amber Creek, we really are one big family. Living, loving and caring for a family member with Alzheimer’s, Dementia or other forms of memory loss is a unique challenge. We need the support of those who not only understand what we are experiencing, but can be a strong support through the journey. At Amber Creek Inn, our support groups offer family and friends the opportunity to meet and talk in a private and mutually supportive atmosphere. Often solutions come from others who are on the same journey at a different point in time. This community of care provides emotional support and continuing education. To ease your schedule, hourly care is provided for your loved one during your support group visit to our community. Please contact us to find out about support groups meeting at Amber Creek Inn. Our Living Well care program is a holistic approach aimed at maintaining residents' well­ being and self-worth. 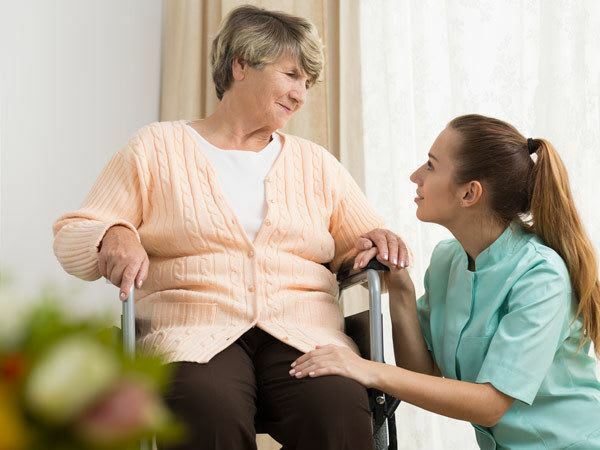 It is a program that encompasses all aspects of our resident care.